Comprehensive security management strategies are a fundamental part of the Core offering. To be confident in your business it is important to have a clear understanding of the security landscape, potential threats, and to know you have a robust plan to deal with any potential incident. Thus, creating an environment that is proactive not reactive. In turn this will generate working practices for your business, staff, and clients that are: Safe; Secure; and Sustainable. By empowering your business to protect your people, physical assets, intellectual property and your profits through holistic security management, Core will enable your business to thrive with a safe and secure working environment. Holistic approach – this provides the opportunity for a coordinated plan incorporating technical and non-technical security expertise, offering a complete and overarching security strategy for your business. 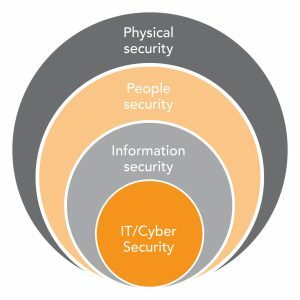 A fragmented, departmental approach can create dangerous gaps and vulnerabilities within your business that increases the risk of security breaches. This in turn can cause significant financial and reputational damage. Risk management – utilising a coordinated approach to minimise, monitor, and control the probability and/or impact of security events is essential. The identification, assessment, and prioritisation of risks is critical to the success of any business. Ineffective security risk management will create a culture where security vulnerabilities and incidents will occur. 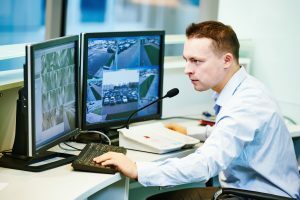 Key personnel – security management is only as effective as its leadership. A clear and defined strategy will identify those individuals who are critical to the success of your security management strategy. This will enable key personnel to understand, interact with and deliver your security plan. A lack of investment in key personnel in and around your security strategy can ultimately result in a failure of any implementation. Core will develop your security management framework and strategy that will ensure that your business and its team have the right skills, tools and processes to deal with any potential security threat.